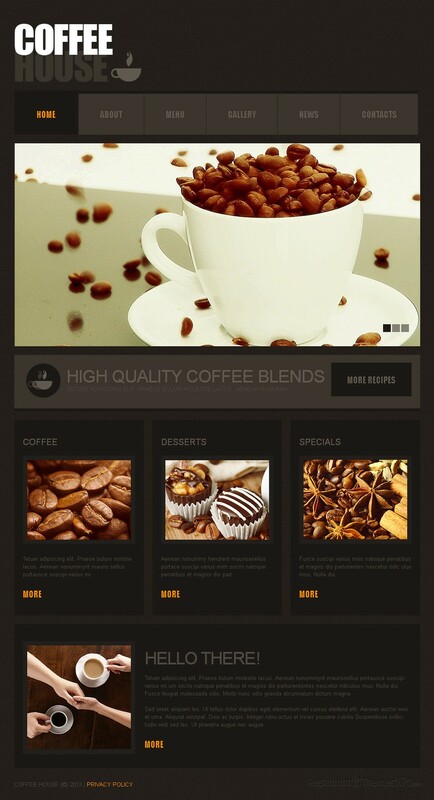 If you need a nice and stylish Joomla cafe template, Coffee might be the right choice for you. Cowboy created this template and it’s featured at Template Monster. 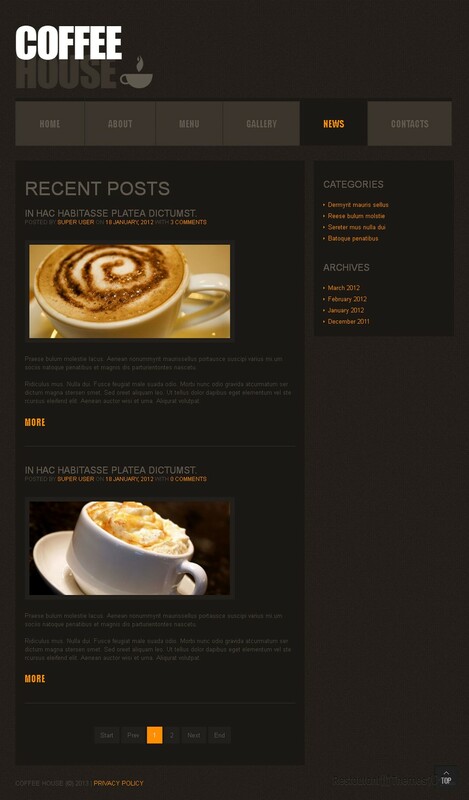 The layout design is very elegant and rich, with all the right colors for a perfect coffee shop website. The color black prevails with various dark shades of gray, bringing the whole coffee experience closer to your visitors. A big, wide slider enhances the homepage, and by placing mouthwatering photos of delicious coffee here, you will attract your visitors’ attention and make them almost smell the dazzling aroma of your coffee. You can feature various posts and menu items on the homepage, and it will be done in a stylish and compact way, with nice boxes where you can place resized photos of your servings and add some teaser text. By clicking the “more” button, your guests get redirected to a full content page where you can tell them all about the amazingly tasty coffee you serve, or the delicious desserts that come along. 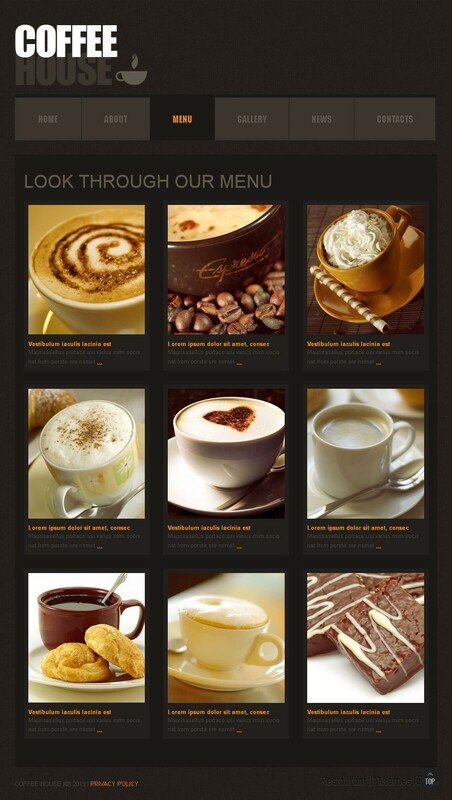 The menu can be easily created, and you can add quality photos for your menu items, which will interest your visitors a lot more in your services than a simple plain text would, so make sure you use this opportunity wisely and add photos that show the deliciousness of your coffee and deserts. A nice introduction text can also be added, along with a photo, and this is an area you should use for a warm welcome aimed at your potential customers. 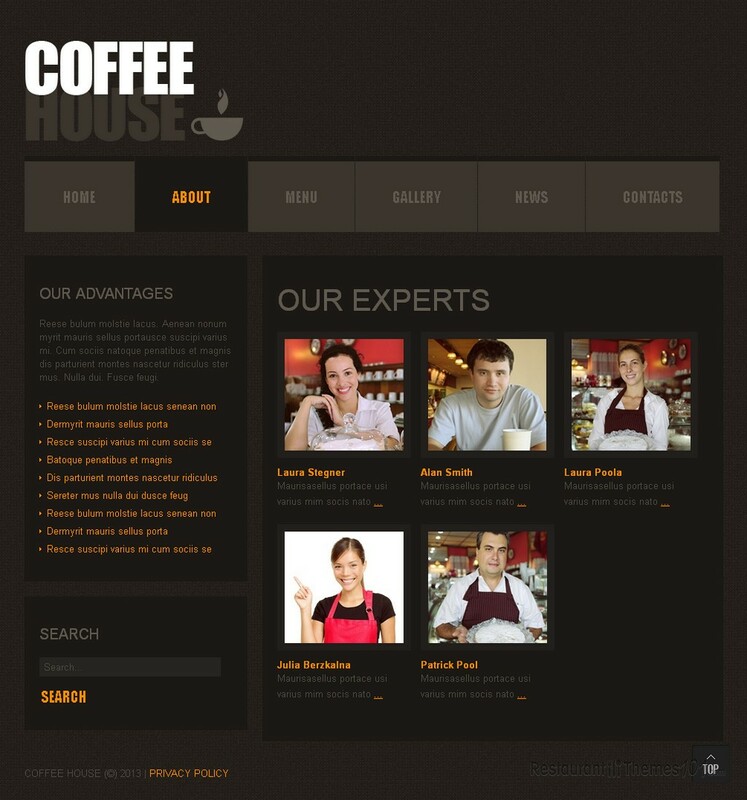 Make them feel the coziness of your place and get thirsty for your coffee specialties as soon as they enter your website. 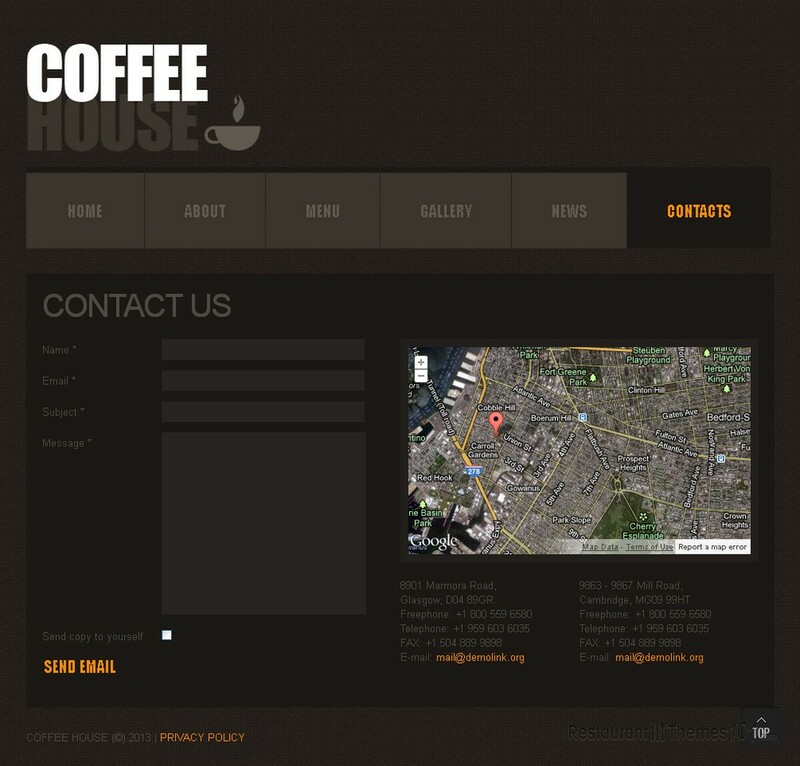 This coffee shop template for Joomla features Google Maps and this integration will make sure everyone gets clean directions to your cafe so they can find it with ease. A simple working contact form was also added, for everyone to be able to message you quickly. A powerful admin panel promises easy management of your website, and the K2 component brings a whole new level of article systems, making this theme easy to use and super powerful and functional.